Hopping boulders across an alpine trout stream along Colorado's Front Range. Words and photographs by Paul Vertrees with additional photography by Randall Haynes and Eric Lynn. Central Colorado, July 2010. Patrick is chugging up the thickly forested, extremely steep side of an immense ridge ahead of me. 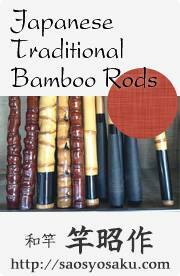 He stabs the carbide tips of his trekking poles into the ground in rhythm with his heaving chest and pumping legs. 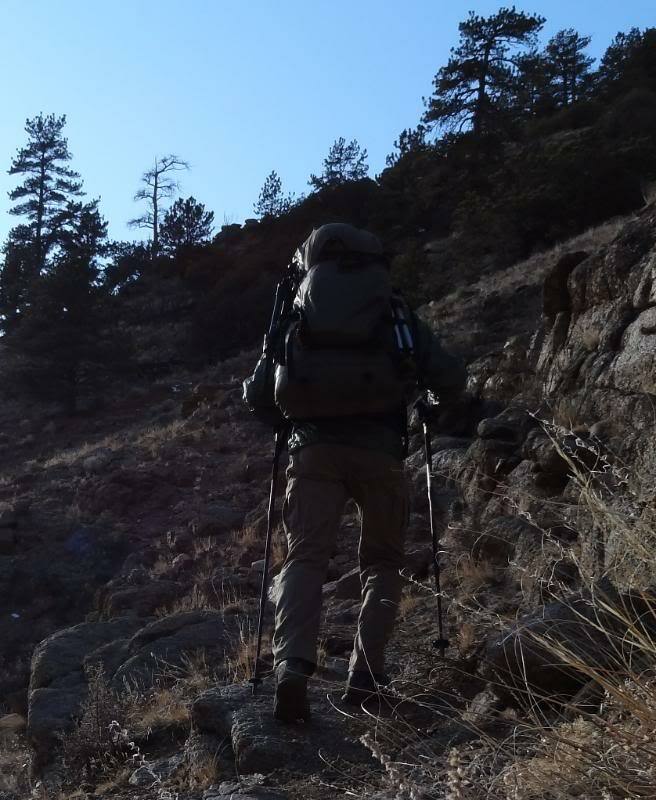 We’re off trail, deep in Colorado wilderness. We have enough in our backpacks to live for a week or so, and I have a tenkara rod shoved down inside my pack. It’s time to disappear for a while and climb to an unnamed tarn at 11,500’ to see if it holds cutthroat trout. Life simply cannot get any better. --Paul Vertrees, Eagles Nest Wilderness, Colorado. July 2011. This is the essence of my tenkara. 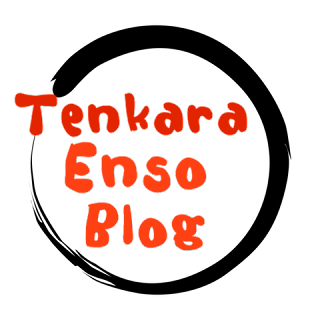 In their blog post entitled “How to Fish Tenkara”, Utah-based Tenkara Guides wrote, “It has been said that if you ask ten Tenkara anglers how to fish, they will reply ten different ways. 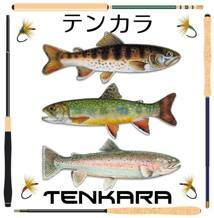 This is the Ten Colors of Tenkara.” Chasing wild trout in remote Rocky Mountain streams and high lakes is my color of tenkara. It’s nearly always done with a backpack on my back, and the capability of spending several nights out. Sometimes, in the fall, I carry my rifle or handgun, and feed myself with small game in addition to a daily dose of brook trout. Often I’m alone; sometimes I’m with a close friend or two. Always I’m at peace in my second home. That’s my color of tenkara. 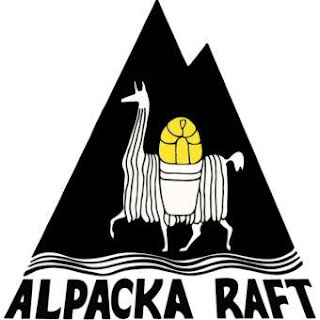 Picking apart a series of rock-strewn deep plunge pools, at the bottom of a remote canyon…done on-the-run without taking off a fully loaded backpack. My home state of Colorado is blessed with over 3 million acres of federally designated wilderness, and this provides literally thousands of miles of fishable water, nearly all of which is perfectly suited for tenkara. In addition to all that wilderness, there are also several chunks of remote backcountry managed by the Bureau of Land Management (BLM) that are comparatively low elevation Wilderness Study Areas (WSA). 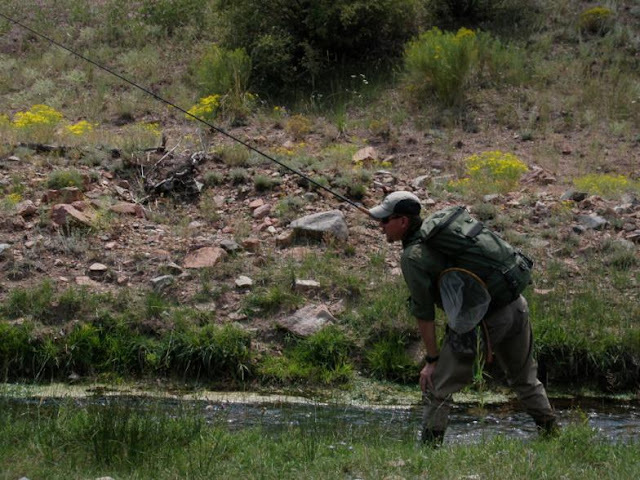 These canyons offer some closer-to-home opportunities to chase wild trout with a tenkara rod. Climbing a lower elevation semi-arid canyon wall, enroute to backcountry browns. Casting to early summer browns with hoppers and beetles, all on an 11' tenkara rod in The Canyons. 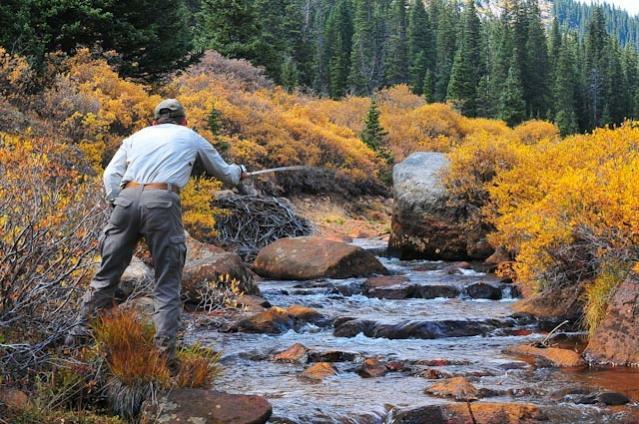 A typical Colorado Rocky Mountain backcountry stream seems to me to be perfectly matched to tenkara. 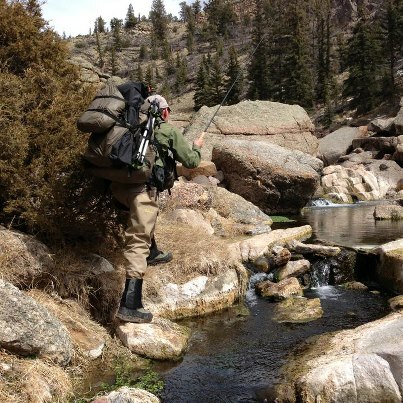 Most trout streams in Colorado are littered with pocket water, and I’ve come to find that a tenkara rod is the most effective way to fish these pockets. The long rod and short, very lightweight line allow only the tippet to rest on the water, making it very easy to target pockets clear across a stream without the worry of constantly mending line. I’ve often fished pieces of wilderness water where nearly every pocket held a trout! 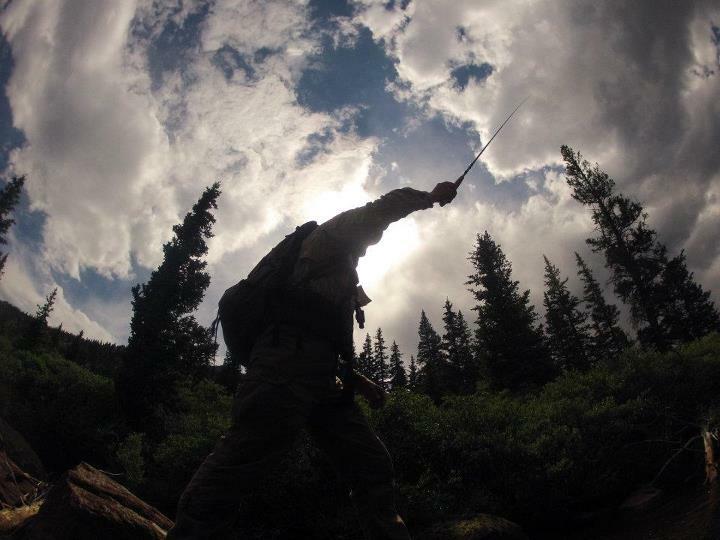 The slow, methodical picking apart of a series of pockets on a remote backcountry trout stream in central Colorado. Every pocket holds trout! In 1890 the British japanologist, Basil Hall Chamberlain, said of tenkara, “To an English eye, the native method of fly fishing will be rude (simple), but it is justified by its results”. Being an eternal pragmatist, I greatly admire the “results” that tenkara provides in the backcountry. 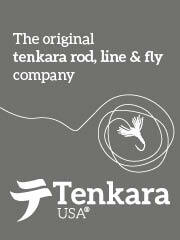 Tenkara originated in Japan as a results-oriented endeavor. In that respect, it hasn’t changed one bit in all those centuries. I use tenkara to feed myself in the backcountry, providing me with grilled brook trout day in and day out. I could skip my catch-and-eat backcountry fly fishing ethic and haul store-bought protein into the outback, but to do so would disconnect me from my wild roots and from the self-sufficiency that I hold so dear. It’s the same reason I’d much rather hunt than shop for my meat. So, nearly all of my non-winter backpacking involves fishing for, catching, killing, and eating brook trout. A couple each day, that is. That’s my color of tenkara. 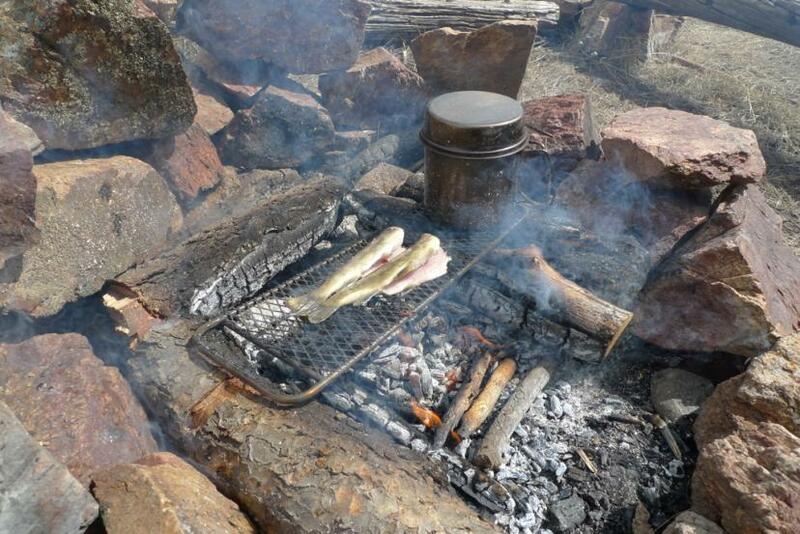 Grilling brown trout and cooking miso soup on a backcountry fire. One of the animals I admire most in my neck of the woods is the black bear. He’s a predatory omnivore, and opportunist, and a learner. He’s adaptive. That’s the spirit I applied to tenkara. I have avoided shoehorning myself into doing tenkara one way all of the time. I’ve found that I enjoy tenkara (as a method) in several different ways, including the use of a wide variety of fly patterns (which incudes weighted nymphs, terrestrials, dry flies, traditional Japanese tenkara patterns, and even hopper-dropper rigs). All of those fly patterns, and the different lines and techniques that make them work, are effective depending on the water, feeding activity of the trout, and a host of other factors. In my book, it’s still tenkara and it’s still simple…just my color. 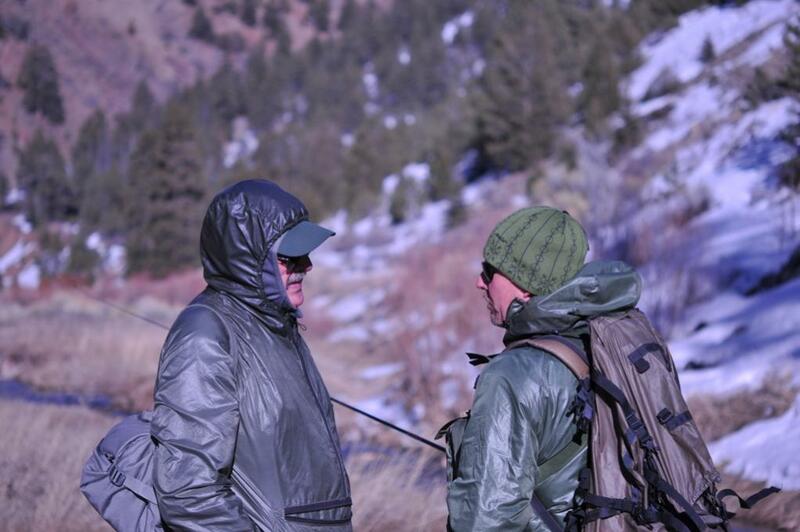 Celebrating the Colorado Rocky Mountain backcountry with my sensei, Patrick Smith, while chasing trout with tenkara. My color…my tenkara. Of all the trips I’ve made into Colorado Wilderness over the past 35 years, one stands out as the finest example of my tenkara color. My good friend and surrogate father, Patrick Smith, and I backpacked deep into a northern Colorado wilderness area nearly into Wyoming, pushing up beyond any trails. We had pored over maps prior to the trip, and we had targeted an unnamed tarn that was perched at 12,000 feet, up against the spine of the range. We didn’t even know if it held trout. It was July 2nd, and the streams were still raging with runoff. It was all we could do to stay on our feet as we wet-waded in Crocs, enduring the bone-cracking cold of the snowmelt. In one epic, constantly uphill, fifteen-mile day, we made it to the tarn, wearily dropping packs on the tundra as the sun was sinking behind the ridge. Three or four marmots ran for cover. Cutthroat trout were rising in the tarn. Patrick pulled a plastic flask full of Jamesons Irish whiskey from his pack, unscrewed the cap, and passed it to me. He looked me in the eye, and said “Paul, we’re home! Let’s go catch some cutts!”. THAT’S my color of tenkara!